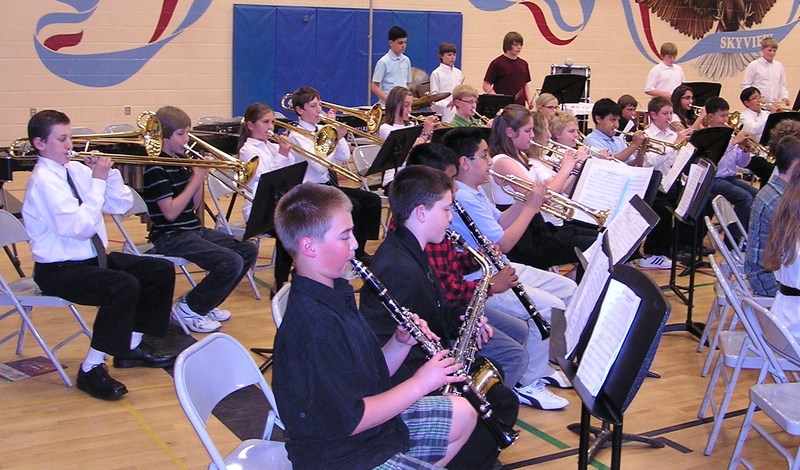 Happy young musicians make proud parents and teachers. 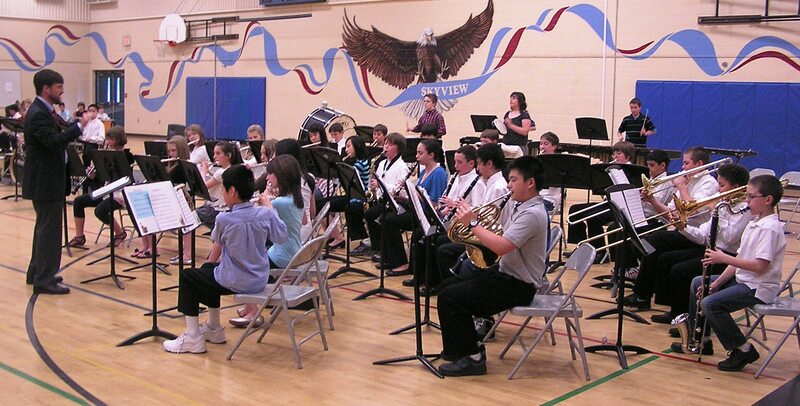 The proof was in the final concert of the school year for the two elementary bands and the jazz combo which performed in the gym at Skyview Jr. High in Bothell on 31 May. 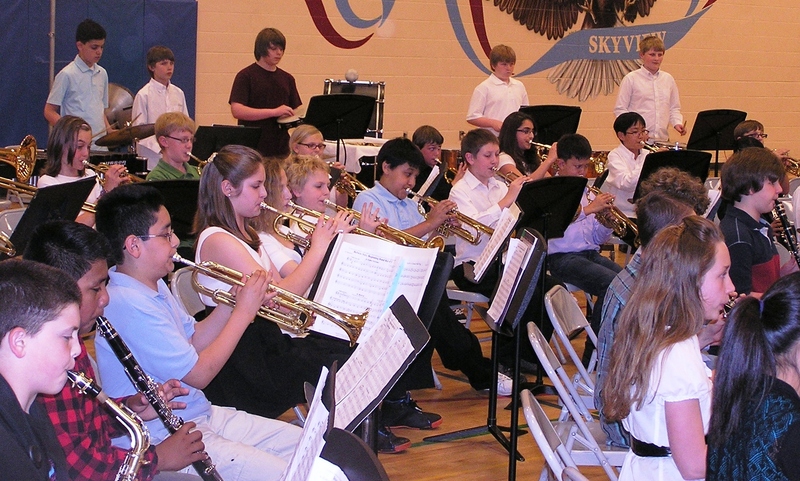 The 37-member second-year band performed “Na Na Hey Kiss Him Goodbye” by A.F. Dale, P.R. Leka and G. Carla, as arranged by Eric Osterling, and “Legend of the Alhambra,” by Mark Williams. 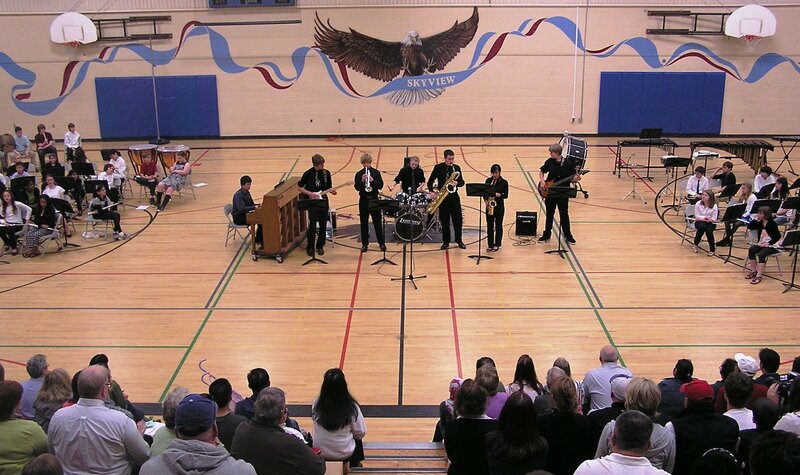 The 8-member jazz combo performed “Autumn Leaves” by Joseph Kosura and Johnny Mercer and “Watermelon Man” by Herbie Hancock. 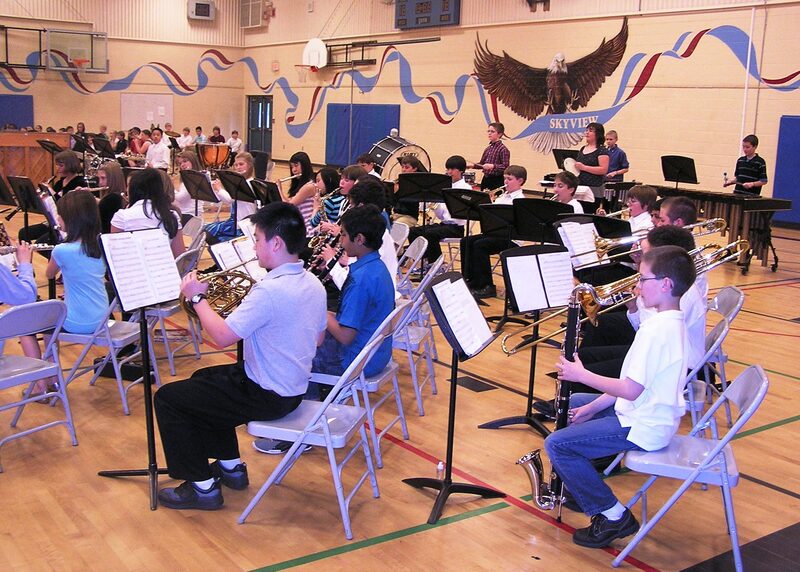 The concert was interrupted to pay tribute to the leader, Mr. Shawn McGinn. 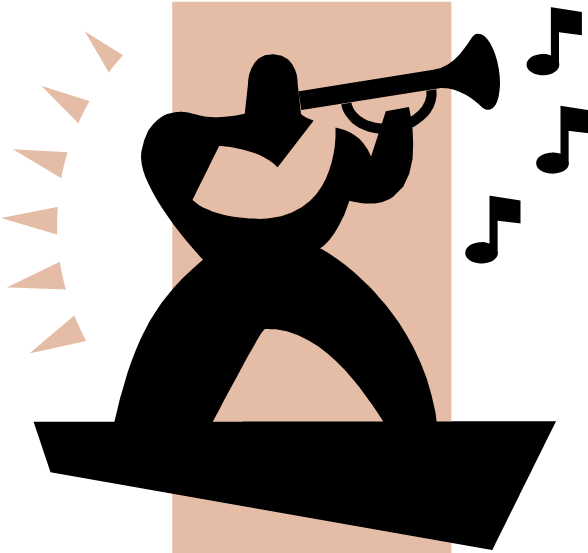 During the past several weeks, band members had made donations toward the purchase of a gift, and the two assistants, Candice Palmberg (flutes) and me (brass), supplemented their contributions. In all, $152 was collected, and a gift certificate from Babies-R-Us was presented to him. He and his wife are expecting their first baby in early July! Mr. McGinn is going to be a wonderful father. With those two good parents, that kid is very lucky! 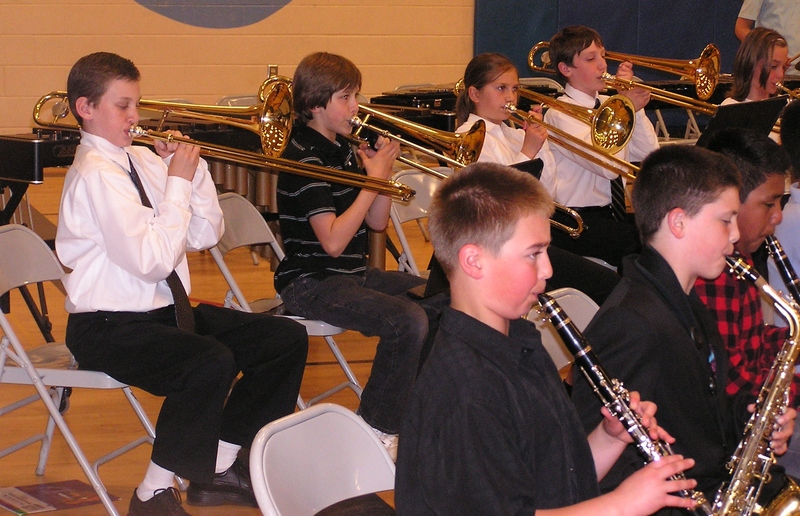 The brass section of the 2nd-year elementary had secretly prepared its own special treat for Mr. McGinn. As a surprise and on behalf of all his students, they played the chorus of “When Irish Eyes Are Smiling” to honor him for his inspirational, fun instruction and leadership. Mr. McGinn encouraged everyone to stay in practice during the summer and come back next fall for a very special school year in band! Picture 5,000 white marble markers on the graves of veterans interred at Veterans’ Memorial Cemetery in north Seattle on the grounds of the larger Evergreen Washelli Cemetery. 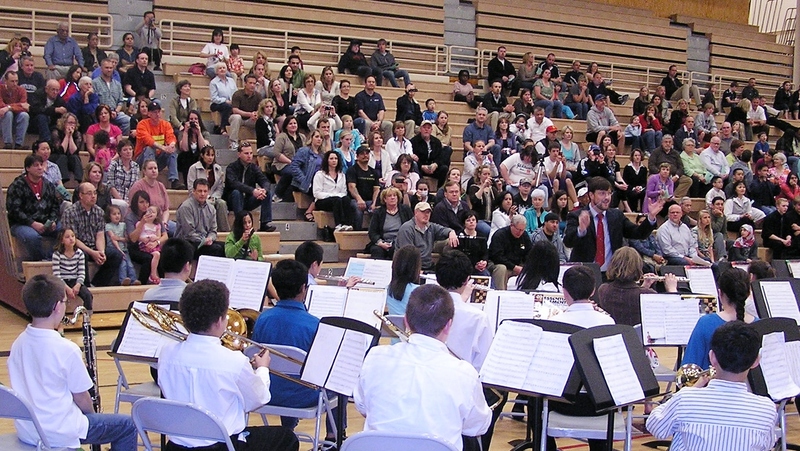 Imagine at least 700 people gathered there for the 85th Annual Memorial Day Celebration. That’s what happened Monday, 30 May. 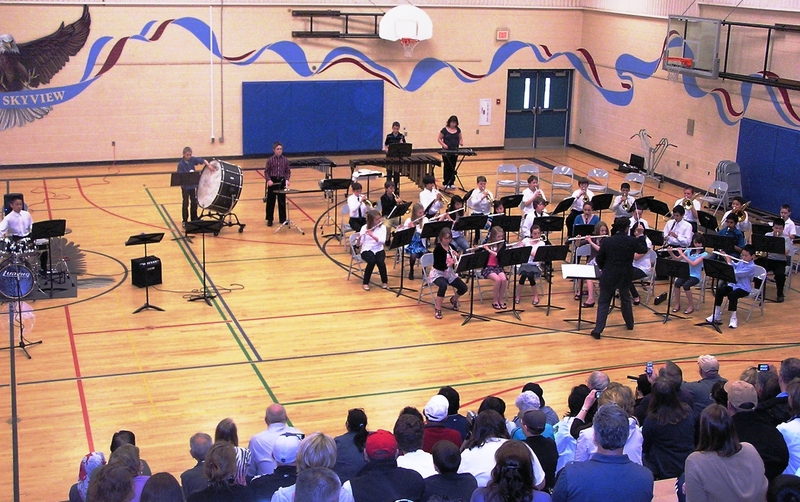 “Ya shoulda been there”–such sights to see and sounds to hear! I especially enjoyed the prominent role of music in the celebration. frigid temperatures, famine, harassing cossacks and Russian forces barring the retreat route. Napoleon abandoned the army in December. By the time it reached the relative safety of Poland, the Grande Armée was reduced to one-tenth its original size. On 20 August 1882, seventy years after the battle, the overture debuted in Moscow in the Cathedral of Christ the Saviour. Marsh says that Tschaikovsky opens the overture with the Russian hymn, “God Preserve Thy People,” and returns to it near the ending when the music depicts God’s intervention in the invasion, causing unprecedented severe winter weather to decimate Napoleon’s seemingly invincible French army. The SPU ensemble also played a medley of five military anthems in tribute to each branch and those who served in them: Army, Marines, Navy, Air Force and Coast Guard. Veterans in the crowd stood to the applause of the audience when their anthem was played. 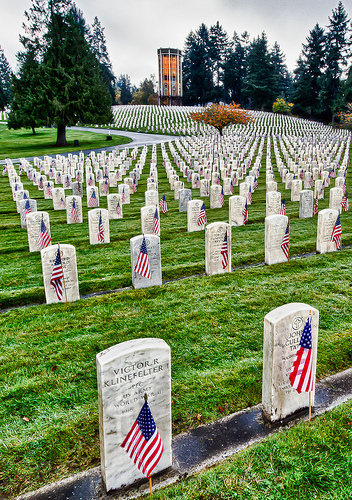 The first Memorial Day ceremony at Evergreen Washelli (the Makah Indian word for west wind) occurred in 1927. Marsh says that the SPU ensemble has played at each of these ceremonies for more than 15 years. Students get class credit for doing so. They are required to perform community service once a school quarter, and this event satisfies that requirement for spring quarter. “They enjoy doing it,” he says. 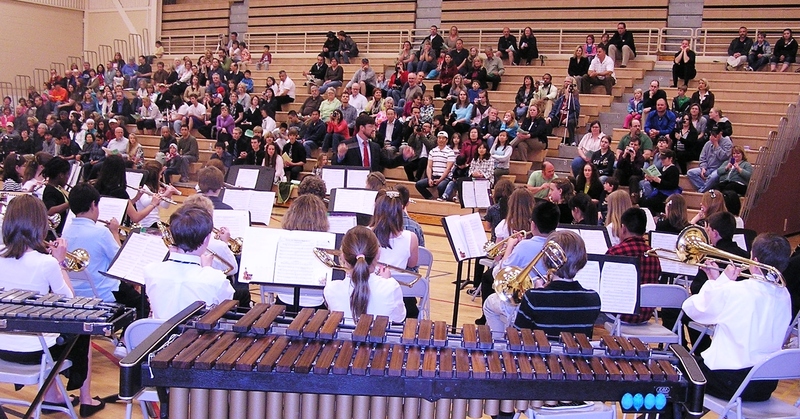 For more information about instrumental music at SPU, visit http://www.spu.edu/depts/fpa/music/mus_homepage.html. 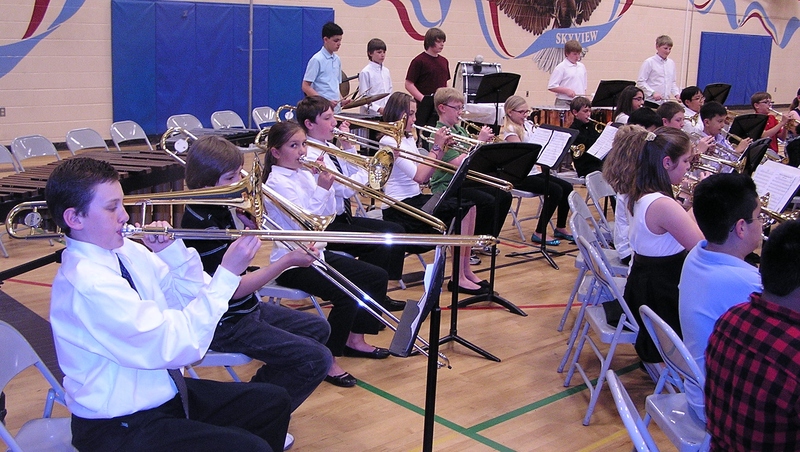 Since 1985, Marsh has also been the Musical Director of the Cascade Youth Symphony Orchestras (see www.cyso.us/). 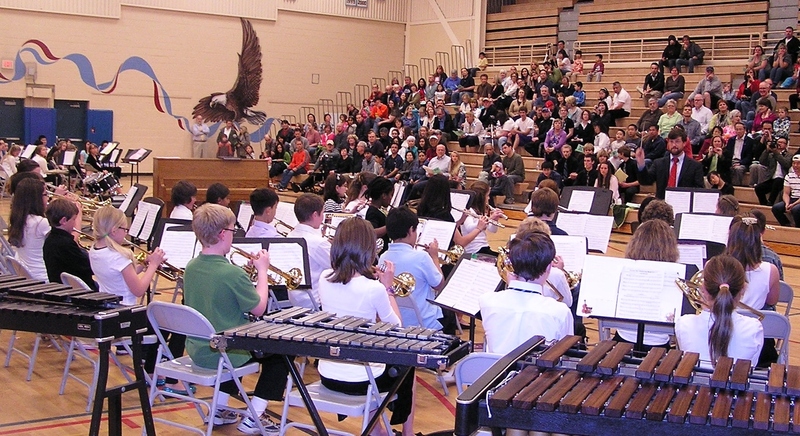 In 1998, Marsh was inducted into the inaugural Washington Music Educators Association (WMEA) Hall of Fame. the Civil War era. These rope tension drums have calf skin drum heads, says Marsh. The Drum Corps was featured during the Parade of Colors. 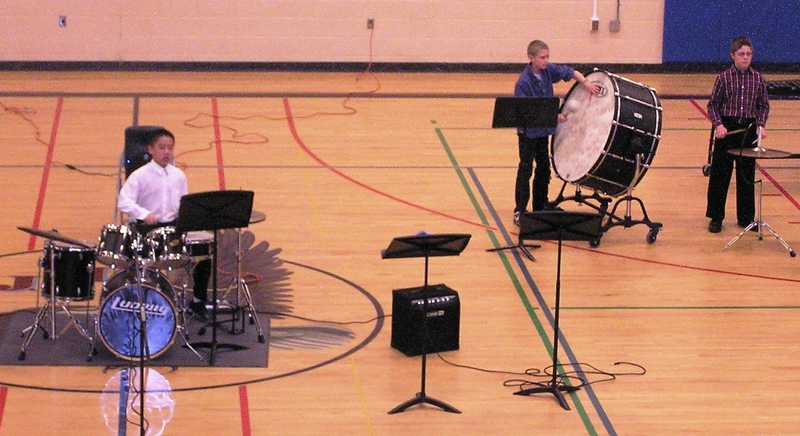 As a clinician, Adams has presented workshops on drumming of the Civil War. 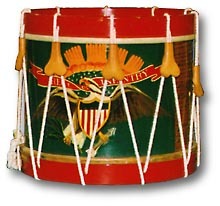 For more information on such drums, see www.cooperman.com/ropedrums/civilwar.htm. At the conclusion of the ceremony, two SPU trumpeters played an echo version of “Taps.” A history of “Taps” can be found at www.tapsbugler.com. 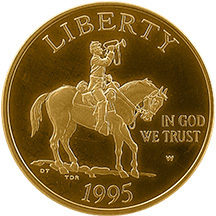 For a complete history you can order “Twenty-Four Notes That Tap Deep Emotions—The Story of America’s Most Famous Bugle Call” by Jari Villanueva at www.nationalcivilwarbrassmusic.org/GiftShop. 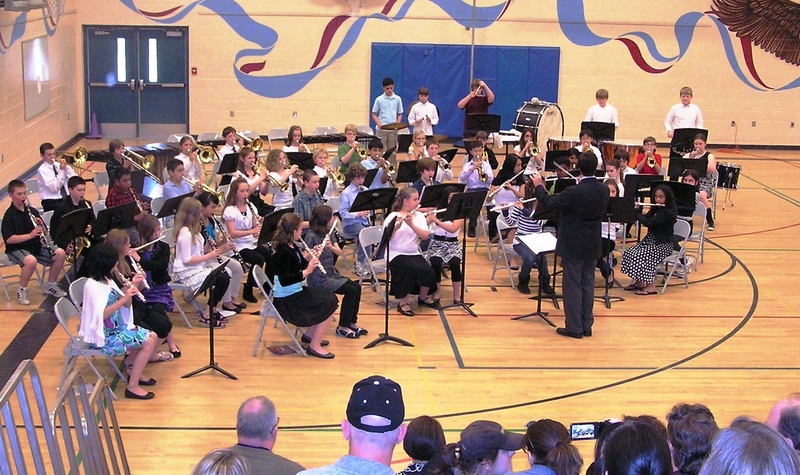 Next year, 2012, marks the 150th year since the composition of “Taps” during the Civil War in July, 1862. 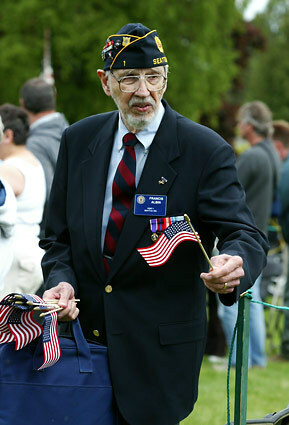 On Saturday, 16 July, there will be a special ceremony at the Veterans’ Memorial Cemetery to honor the six Medal of Honor recipients who are interred at Evergreen Washelli (see www.washelli.com). They are Lewis Albanese, William C. Horton, Harry D. Fadden, William K. Nakamura, Robert R. Leisy, and Orville E. Bloch. On that day, I am honored to be scheduled to sound “Taps,” the most sacred duty of a bugler.